Not many employees can say the work they do is life and death, but for the healthcare industry, that's a different story. Unfortunately, employee engagement in healthcare is on the decline. Why is this happening? And which strategies can improve engagement among healthcare employees? This snapshot report shows how employee engagement in healthcare compares to the national average. It also outlines the top drivers of engagement within the industry. Is engagement among healthcare employees improving or declining? 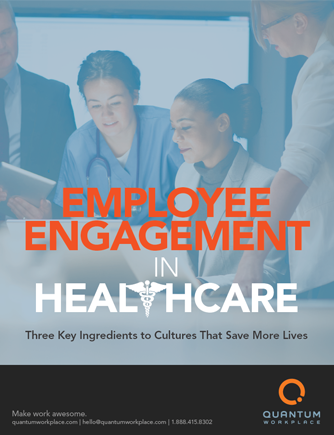 Get your free report on healthcare employee engagement statistics today!